Prey is a first person psychological shooter announced for 2017. You’ll take on the role of Morgan Yu who mysteriously wakes up on the space station – Talos 1. Prey is set in the year 2032, in an alternative timeline where John Kennedy was never assassinated. Already an exhilarating plot that has triggered a very different future. In power, JFK invested heavily in the space program and in this future, we have a better understanding of space and the number of space stations set up by the president. The space stations attracted an alien species, which humans decided to study in a hope to harness their unique abilities. The project had to be closed down in 1988 as the alien species, known as the Typhon, took over the space station and killed the scientists investigating them. 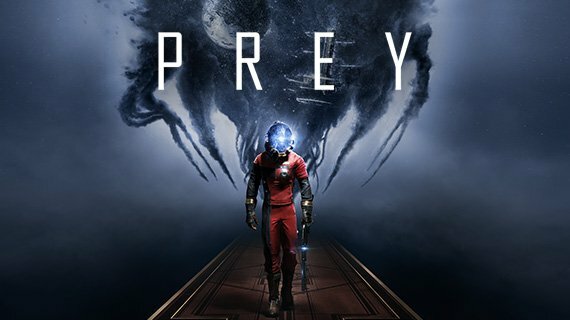 The Prey story begins with Morgan exploring Talos 1, with a Prey trailer revealing that he had been the subject of experiments after an elite team of scientists known as the TranStar Corporation managed to harness the Typhon. Our protagonist Morgan Yu begins to unearth the horrors on Talos 1 and the aliens that lie in wait of humans they can feast on. The Prey story is atmospheric and we know once we wake as Morgan that the journey will not be easy, but we must face the nightmare humans created head on. The TranStar is the corporation in Prey that have managed to control the rogue alien race. The aliens, later named the Typhon, originally flocked to the space station, Talos 1 when it was created to study the extra terrestrials. Who will you play as in Prey? As the Prey main character, Morgan Yu. You discover early on that you are aboard Talos 1, working with the TranStar, standing proudly in your uniform to help the team carry out their experiments. Prey is a new first person shooter from Bethesda and developed by Arkane Studios. It’s set in 2032 in an alternate timeline where JFK wasn’t assassinated and instead, went on to invest heavily in the space program.